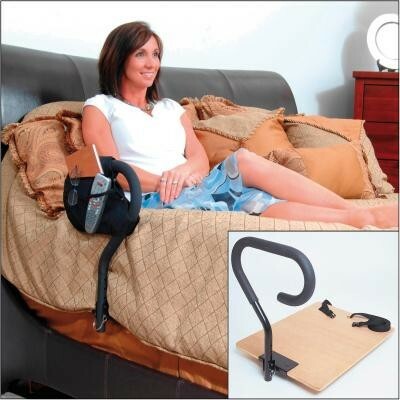 Bed Cane With Four Pocket Organiser, Foldable. 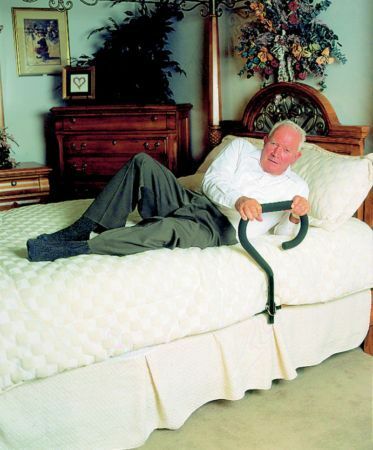 With its comfortable foam handle, the Bed Cane provides a stable pivot assistance to the user when getting into and out of bed. Closed cell foam handle can be easily cleaned and adjusted to suit the mattress height. Can be secured via the use of the safety strap provided. Folds for storage purposes and includes a handy four pocket organiser.